Belltown, located in downtown Seattle just north of the Waterfront, is home to primarily condos, lofts and trendy restaurants. It's a great location for residential lofts as it has a little lower rise buildings that those found just a few blocks south and it boasts an excellent walk score. This makes Belltown ideal for anyone that doesn't have a vehicle or chooses not to drive. There are about seven loft style buildings in Belltown. Prices range from $220,000 to over $700,000 based on size, condition and amenities. 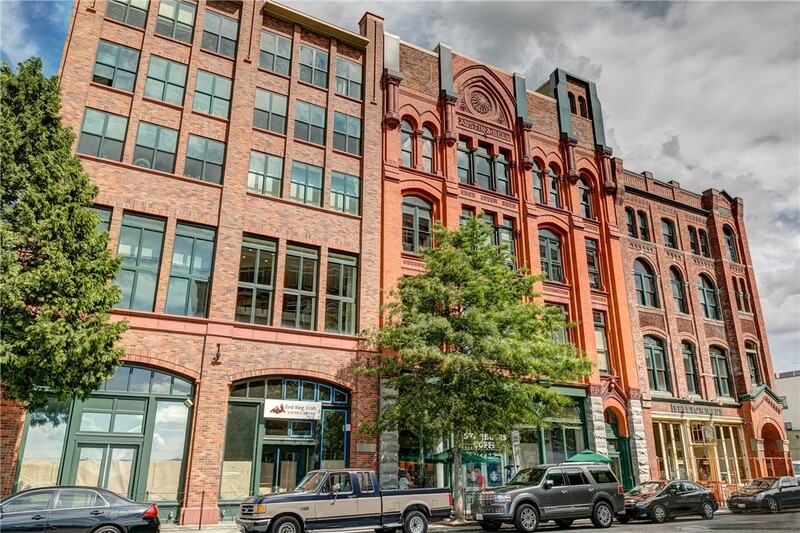 Mosler Lofts is located on the corner of 3rd Avenue and Clay Street. This full-service loft building offers a concierge service, fitness center, library, conference and meeting rooms and a beautiful rooftop deck to take in the spectacular view. Lofts in this building started about $300,000-$500,000. Homeowners dues are between $300 and $400 per month. Joseph Arnold lofts are located right along Elliott Avenue with beautiful views of the downtown area and the Puget Sound. Amenities include bike storage, workshop, private guest suites, fitness center, outdoor lounge, urban retreat, boardroom, additional storage and secure parking. The Joseph Arnold Lofts are also pet friendly. Northwest Work Lofts is located at the northern end of Belltown along Denny Way. Converted from a 1920s warehouse, this landmark building is perfect for startup businesses, artists, professionals and anyone looking for that true loft style ambience. Klee Lofts is located between Elliott Avenue and Western Avenue and provides an open and airy loft style complex with a low rise architecture, open floor plans, large balconies and windows. They also have exposed concrete columns giving you that true loft feel. Lofts range from about $300,000-$500,000. Walton Lofts is located just down the street from Klee and provides a wide range of designs, high ceilings, sleek interior finishes and beautiful views of the waterfront. Walton is also pet friendly and provides bike storage, concierge services, fitness center, library, private parking, guest suites and outdoor lounge. Belltown Lofts is located at 66 Bell St. and features a rooftop deck, courtyard and secure entrance. It was converted into thousand one but still remains reminiscent of its 1914 architecture. These are primarily the most popular loft buildings in Belltown. Please see all available listings below and give me a call if you'd like to schedule a showing at any time.